With 2008's 'Radio Scarecrow' a critical success and an excellent inaugural album for Soma Records, The Black Dog are set to return in April with a new long player entitled 'Further Vexations'. Hailed as a real successor to their previous album, this latest offering proposes to offer a more dancefloor orientated direction, whilst also developing the ideas mapped out by it's predecessor even further, with a possible influence from the group's extensive gig schedule over the last few months prevalent throughout. The group have also taken time to add their own touch to Slam's 'Azure', the remixes of which will follow sometime around May. 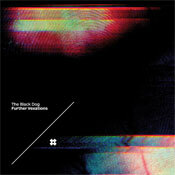 The Black Dog are without a doubt one of the hardest working acts in electronic music. 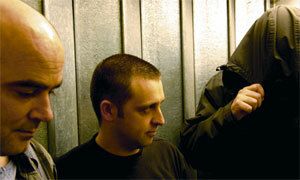 No sooner have they released one of 2008s best albums in Radio Scarecrow and the massive 12 Detroit vs Sheffield which featured 2 remixes from Detroit minimal grandmaster Robert Hood, they now prepare for their next album release, ready to drop on April 9th this year. Further Vexations is a real successor to Radio Scarecrow. The thinking behind the predecessor is still very evident and with even more bite, but theres something about Further Vexations that lends itself to the dark club atmosphere. Perhaps the recent bout of constant gigging has had its effect on the act because this one is going to be tearing up floors around the world on its release. The power of these clubbier tracks is perfectly balanced with the sort of sublime downtempo electronica that only The Black Dog do best. Further Vexations might have taken half the time to create but still manages to maintain the same degree of meticulous detail and attention as its predecessor, and, again like Radio Scarecrow, is a complete package of tracks demanding to be listened to from start to finish. Behind the album is a dark cynicism of the Orwellian practices being carried out by the Government and the passivity of the general public at large to let this happen. Martin Dust from tBd explains, Our main concern was and still is the amount of personal freedoms being surrendered under the banner of "for your own safety" CCTV, Biometrics and the World Wide Databases being the latest inventions to save us for ourselves. What is it going to take for people to wake up? How much further can the people that weve put into power go before something finally snaps? We've had enough now! We believe that people have become lazy and accepting of "beige" political parties who have realised if they stand for nothing, people will fall for anything. Further Vexations looks to rouse the sort of political attitudes that have been sorely missing from electronic music since raves backlash against the Criminal Justice Act in the 90s. Martin continues, It was these feelings coupled with visiting many different cities, playing lots of clubs and festivals, that has resulted in a pick up in pace and aggression reflexed in the tracks on Further Vexations - these are our Vexations reflecting back. first edm portal to the web in 1999© 2019 Progressive-Sounds, All Rights Reserved.